The other day I got a parcel. Now, as any other book addict who buys more books than they’ve had hot meals knows, this isn’t news. I could probably tell you the name of my postman’s children I see him so often. 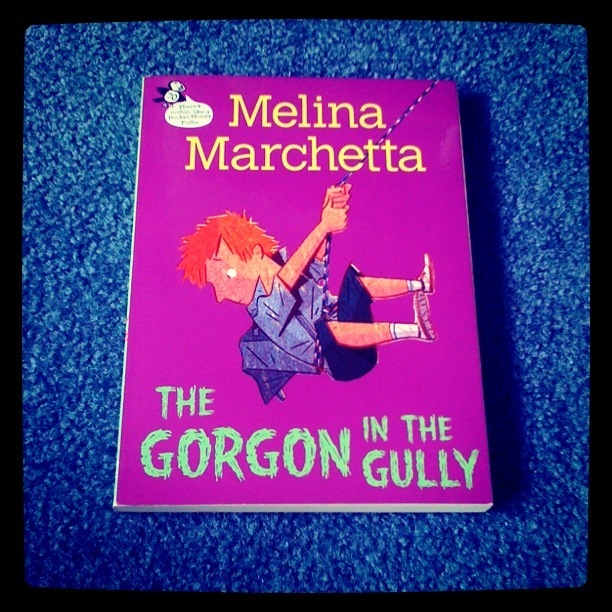 A signed copy of The Gorgon in the Gully by Melina Marchetta. I have wanted this for sooo long, you have no idea. I was pleased as punch. Wait… OK, I’m going to need to explain this one. To me reading and writing go hand in hand with music. I know I’m not the only one who feels that way. The ridiculously brilliant Noelle and Maggie over at Young Adult Anonymous have lots and lots and lots of posts where they do this and you should definitely check out Catie at The Readventurer’s reviews because she picks a ‘Perfect Musical Pairing’ for each book she reads and they are always spot on. 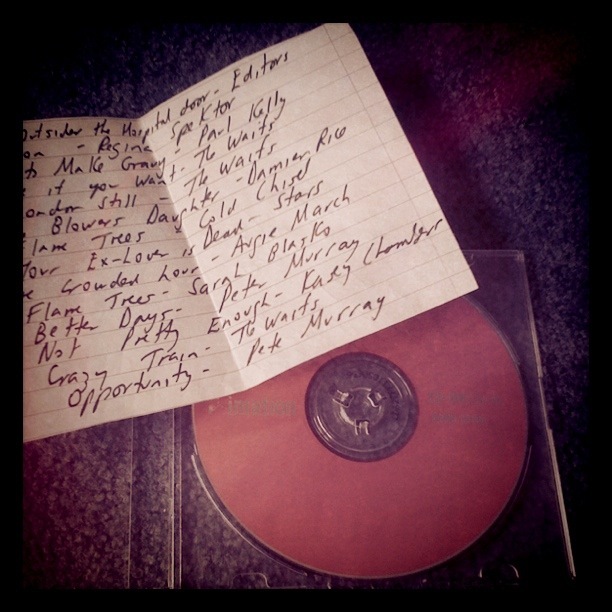 So, I love finding out what my favourite authors listen to when they write my favourite books. I am also hopelessly in love with Thomas Mackee, too. Bearing that information in mind, I probably don’t need to tell you the sound that came out of me when I found this within the parcel. Yes, that is the soundtrack for The Piper’s Son, possibly my favourite of Double M’s books [Though don’t tell Froi], with the songs that Ms Marchetta listened to while she was writing it. I took that picture on my phone and it’s not the best quality but I’ve created the playlist on Grooveshark and you can stop, look and listen here. 2) Samson by Regina Spektor. 3) How to Make Gravy by Paul Kelly. “She picks a Waifs song- a good one for learning because it’s just one or two chords and it’s slow. 5) London Still by The Waifs. 6) The Blower’s Daughter by Damien Rice. 7) Flame Trees by Cold Chisel. 8) Your Ex-Lover is Dead by Stars. 9) One Crowded Hour by Augie March. 11) Better Days by Pete Murray. 12) Solsbury Hill by Peter Gabriel. 13) Not Pretty Enough by Kasey Chambers. 15) Opportunity by Pete Murray. 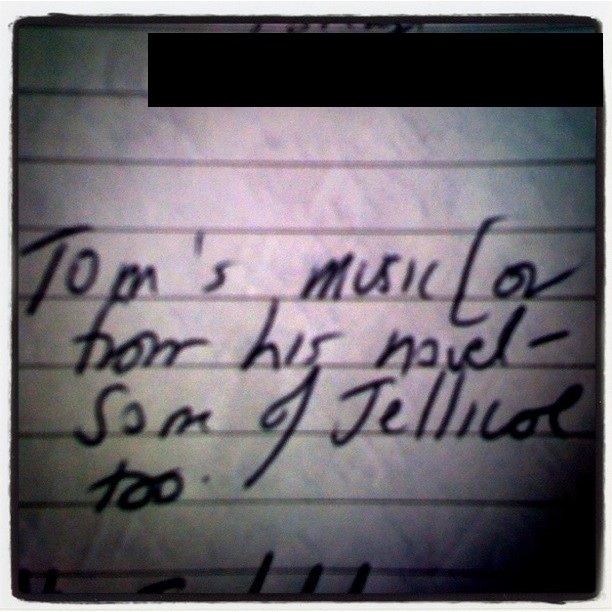 In my review for The Piper’s Son, I picked an entire album for Tom and the gang. Urban Hymns by The Verve is in my list of Jo’s Top Ten Albums of All Time© so it’s only natural that I would end up associating it with The Piper’s Son which is in my Jo’s Top Ten Books of All Time©. So here’s my contribution to Mackee’s Music. Lucky Man by The Verve. I reckon Tom would approve… and then realise we’re meant to be lovers and move to Manchester. 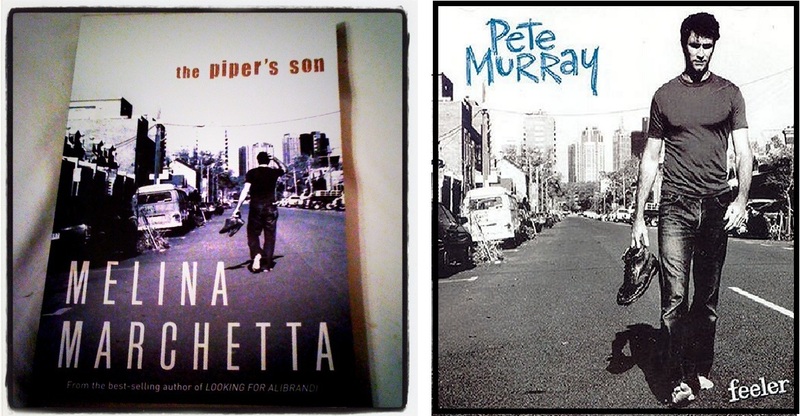 Do you associate music with books? Are there any songs you feel should be added to Mackee’s Music? This post is so, so amazing, Jo! Best mail ever! I think this sums up my feelings nicely. Er stupid gif didn’t stupid work. Ok, picture Stephen Cobert freaking out and going AAAHHHHH AHHHHH AAAHHHHHH a lot. But you have to keep your hands to yourself. Mackee’s mine. MINE ALL MINE. That is SO awesome, Jo. Love it. Thanks for sharing. I didn’t realise that was Pete Murray on TPS! So cool. Ah! Jo! This is CRAZY! I am sososososososso jealous, wow. And I’m in awe as you now have my two favourite things: MM and music! Thanks for sharing!!!! HOLY S***. Did you faint when you open it? I probably would have fainted. Right there at the mail boxes. (Like I’d even make it upstairs before I opened it!) Amazing amazing amazing. Wow! That is so exciting! I borrowed Gorgon from a friend ages ago but I still need to read it:) Point of contention: My boo Paul Simon doesn’t sing Solsbury Hill–Peter Gabriel does. One time, Aileen’s ex-boyfriend (he’s from near Bournemouth) took her to see PG at Wembley and a bunch of his friends came. She was so, so excited and got them all excited too, though they didn’t know too much about him. So they stood out in the rain for the entire festival day in the pouring rain. PG got up on stage…and then only sang his new mediation-type music. Her bf’s friends were like, “Um, WTF is this?” He only sang In Your Eyes in the encore. ONE regular song. /random story. I looove Regina Spektor too! I really like Sarah Blasko’s cover of Flame Trees. It’s wonderful! I read the first two chapters of TPS yesterday at work because surprise, there are only a dozen or so people that visit a library on Easter Sunday. I love that book so much…so poetic. TPS is beautiful and yep, I completely agree, definitely poetic. « Review x 2 : Feeling Sorry For Celia & Finding Cassie Crazy – Jaclyn Moriarty.